This week Jcrew debuted it’s shoe collaboration with Sophia Webster and the whole collection is AMAZING! 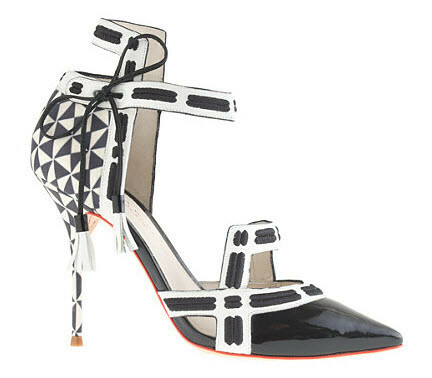 Sophia Webster is known for her playful and whimsical designs and these shoes embody just that. With lots of color and patterns, these shoes are definite showstoppers.While I like all the shoes in the collection, if I had to pick a favorite pair it would have to be the Poppy style above. I love the geometric style and classic black and white color palette. To see the entire collection, you can check it out here on the Jcrew website. What’s your favorite pair?